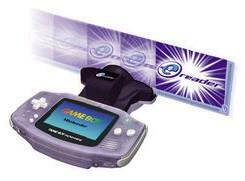 The e-Reader was an extension for the Game Boy Advance, developed by Nintendo. The e-Reader itself was capable of scanning cards that could hold games or add-ons for other games. Notably the e-Reader had a series of cards for the GameCube game Animal Crossing that could upload patterns from e-Reader card, to Game Boy Advance, to GameCube. Due to the expense required to do this (users needed to purchase the e-Reader, e-Reader cards, and GBA-GCN cord to be able to connect) the e-Reader didn't become very popular. This page was last edited on 15 March 2009, at 20:17.